Directorate General, Indo-Tibetan Border Police Force (ITBP) (MHA/Govt. of India), New Delhi invites applications from Indian Citizens for recruitment of Sub Inspector (Armourer), Group 'B' Non-Gazetted for filling up 16 Vacancies on Deputation Basis. Eligibility: From amongst officials of the Central / State Government Departments holding equivalent or analogous posts and having experience in the line. Period of Deputation: The Period shall ordinary be for three year which can be extended up to 5 years. However, due to administrative reasons one can be repatriated before completion of tenure. How to Apply: Applications through proper channel of willing and suitable Central / State Govt, employee along-with their bio-data in the prescribed proforma (enclosed) as Annexure-II together with up-to-date ACR/APAR dossiers (attested copies each page) for the last 05 years, DE/Vigilance Clearance Certificate, Integrity Certificate and Major / Minor punishment during the last 10 years, should reach "SR. ADMN. 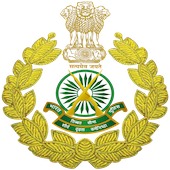 OFFICER (ESTT), DIRECTORATE GENERAL, ITBP, MHA/GOVT. OF INDIA, BLOCK-2, CGO COMPLEX, LODHI ROAD, NEW DELHI-U0003" within 60 days from the date of publication of the advertisement in Employment News/ Rozgar Samachar dated 07 - 13 May 2016 (i.e. Last date may be 05/06/2016).